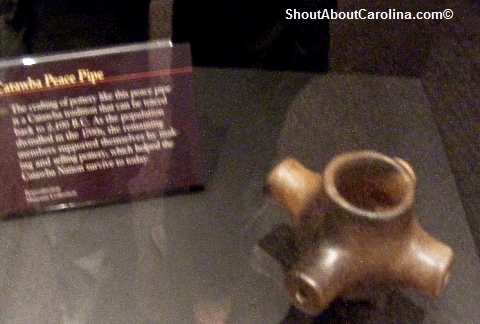 The history museum in downtown Greenville has an interesting exhibit about Native American tribes in the South Carolina Upcountry. 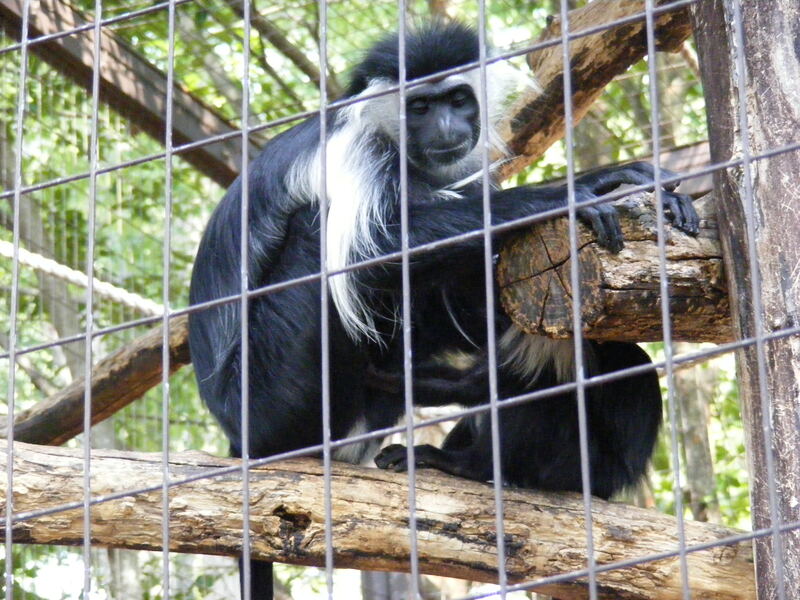 Admission is $5 adults, $4 seniors, $3 children and students age 4 to 18 and free for children age 3 and under. 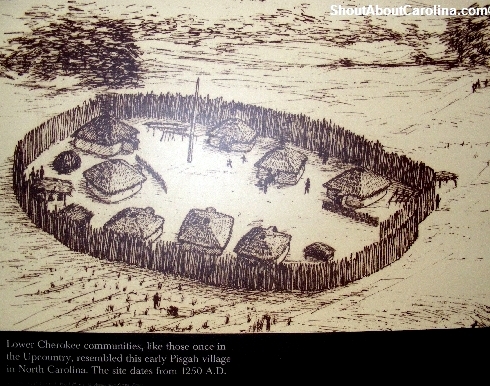 Drawing of early Cherokee settlements in the Carolinas. 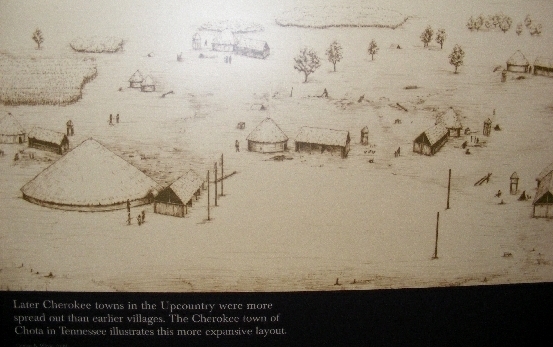 Cherokee village near Pisgah North Carolina 1250 A.D.
Over time the Cherokee settlements turned into towns that were more spread out and more advanced than earlier villages, as illustrated in the Tennessee’s Chota town layout below. In 1730, seven Cherokee warriors went to London to sign a treaty with the British government. They signed a trade agreement that will eventully build colonial fortunes for Great Britain. 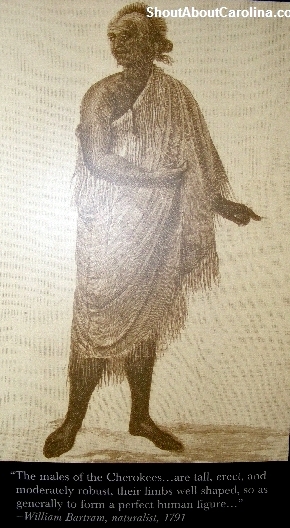 European traders obtained deerskins and sometimes slaves from the Cherokees. In the early 1700s, South Carolina exported 54,000 deerskins annually. 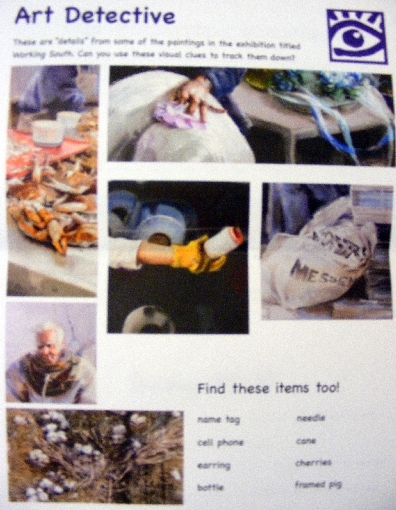 Native Americans became dependent on European manufactured goods, such as fabric, farming tools, hardware and weapons. They soon exhausted the deer population. 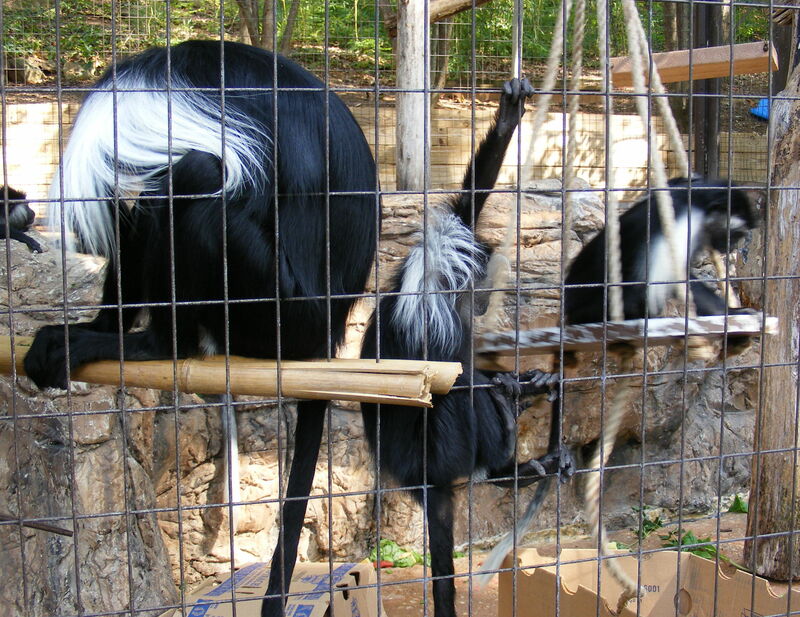 Mounting debt forced them to sell land in order to satisfy their creditors. 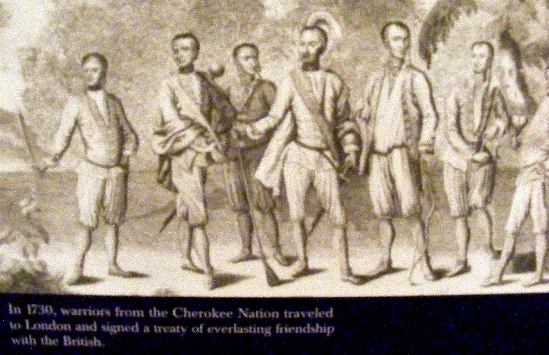 Treaties between the Cherokees and the Charlestown-based government limited European settlement in the Upcountry. South Carolina Governor James Glen secured treaties with Native Americans in 1743 that promoted trade and designated land for European settlement. 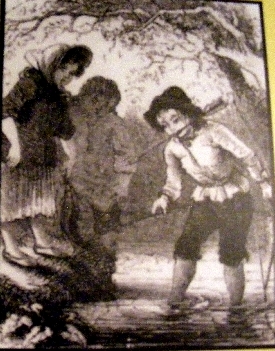 However, as Piedmont region offered rich soil and clean water for farming, settlers ignored these treaties and moved into Native American land. at Fort Prince George, the colonial militia killed hostages when Cherokee warriors stormed the fort. After intese fighting a new treaty was signed creating a new boundary between Cherokee lands and European settlements. During the American Revolution the Cherokees sighted with the British, hoping they would stop the advancement of the settlements. Patriot militia burned Cherokee towns and crops. On May 20, 1777 at DeWitt’s Corner, Outacite and other Cherokee leaders gave up their lands to the new American government. The Catawbas settled east along the Catawba and Wateree Rivers. 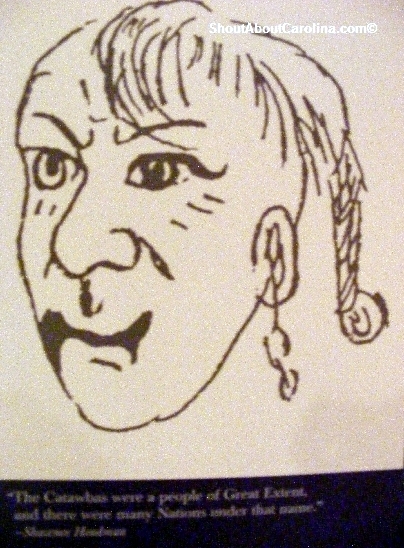 They often fought with the Cherokees over precious Upcountry land. When the Europeans arrived the tribes agreed to a truce in order to participate in trading. 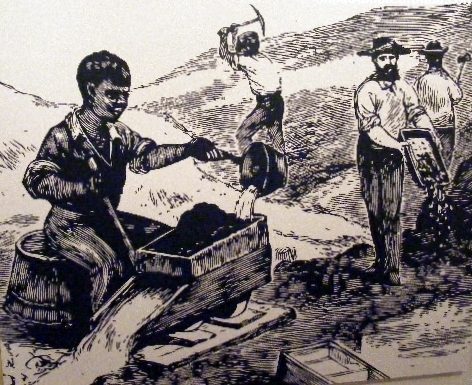 Over time Catawba pottery became highly desired by European settlers who used it for cooking. Once a distinct nation, by the 1730s, the Catawbas became an amalgam of different trives joined together from wars, settler incursion and disease. By 1760, war and smallpox ravaged the Catawbas to just about 500 people. For over 200 years the Upcountry sent her sons and daughters to serve in the military and has provided a home for several training camps. The tradition started before the American Revolution, when militia troops trained at Fort Prince George. 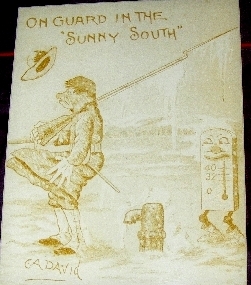 Throughout the years residents understood the benefits of having troops nearby. Local businessmen sold land for camps, built houses, outfitted and entertained the soldiers. 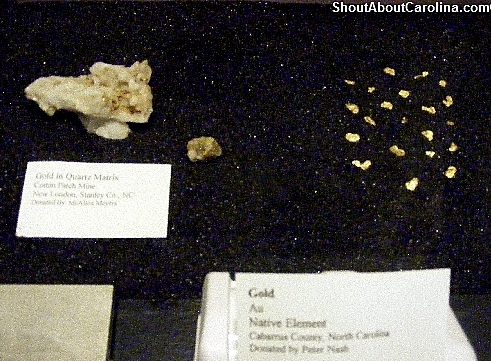 You can learn more about it at the Upcountry History Museum in downtwon Greenville. 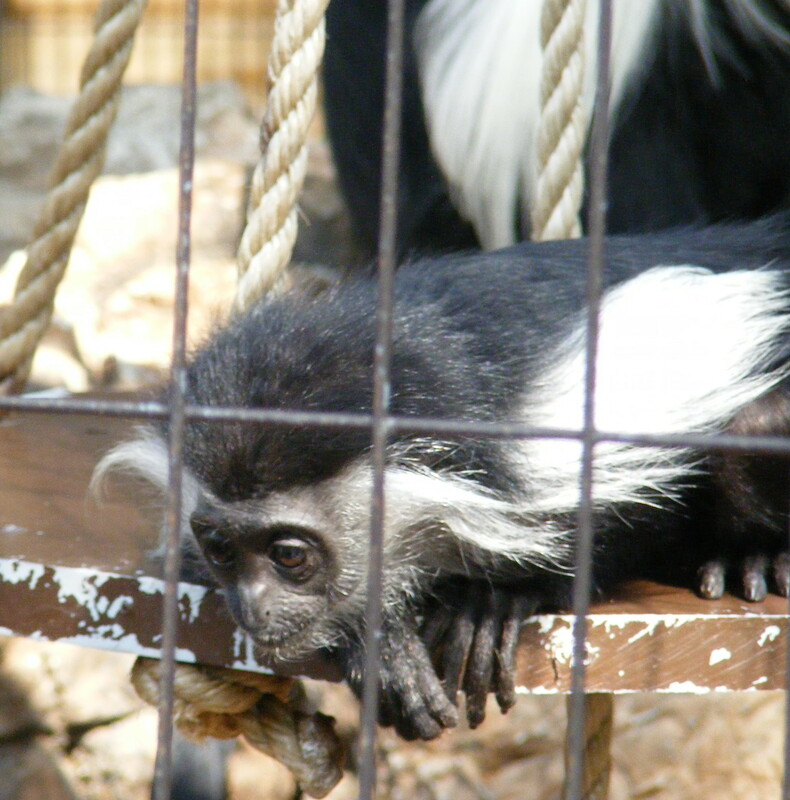 Admission is $5 adults, $4 seniors, $3 children 4-18 and free for children age 3 and under. 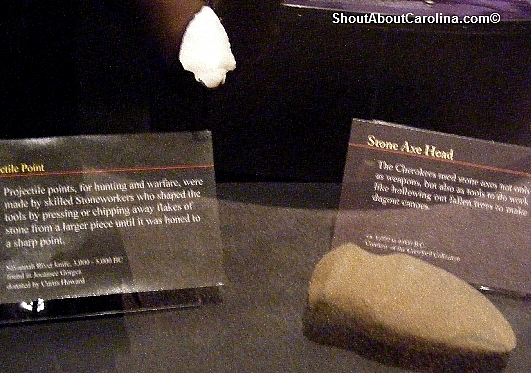 Disclaimer: historic data and pictures in this post are from the museum exhibits. 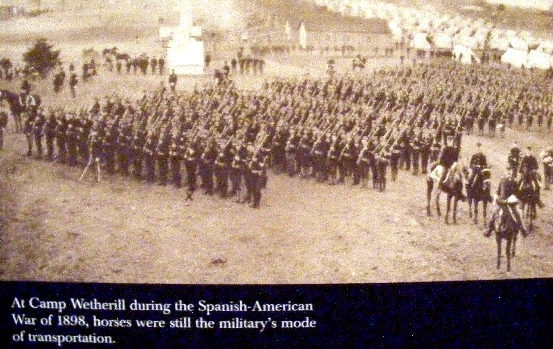 During the Spanish American War of 1898, horses were still the main mode of transportation. Sick soldiers recovered at Camp Wetherill in a hospital tent that had a wooden floor. Other places had tents with dirt floors that sometimes turned into mud when it rained. Bootcamp humor – The unusual cold winter of 1898-1899 surprised soldiers from northern states who expected to lie around in the shade of palms trees and gorge on oranges and bananas. 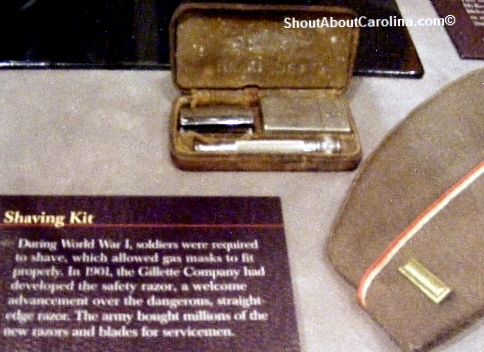 During World War I soldiers were required to shave to allow gas masks to fit properly. In 1901 Gillette developed the safety razor, a welcome improvement over the dangerous straight edge razor. The army bought millions of the new razor and blades for soldiers. 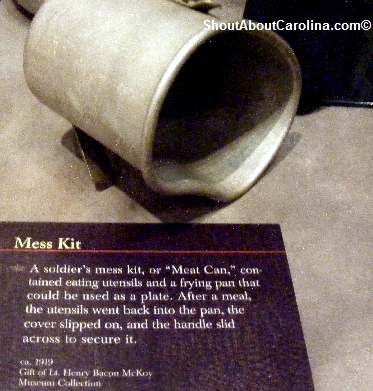 The mess kit or “meat can” contained eating utensils and a frying pan that could be used as a plate. After the meal the utensils went back into the pan, the cover slipped on, and the handle slid across to secure it. 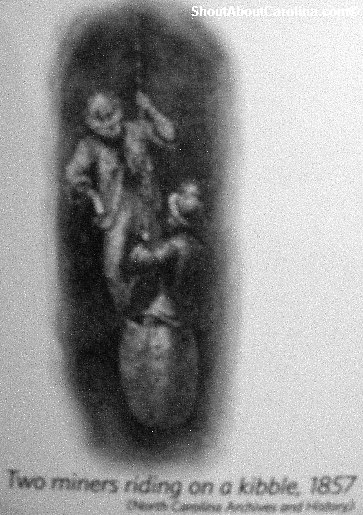 American soldiers used a Coupon Book containing one, two and five francs, to pay the French luxury tax on items purchased there. The Army Air Force published an Emergency Book with jungle and desert survival techniques to airmen deployed to the Pacific and Africa battle fronts. During World War I, medical personnel at Camp Wadsworth took part in stretcher drills to learn how to care for casualties. Did you know? 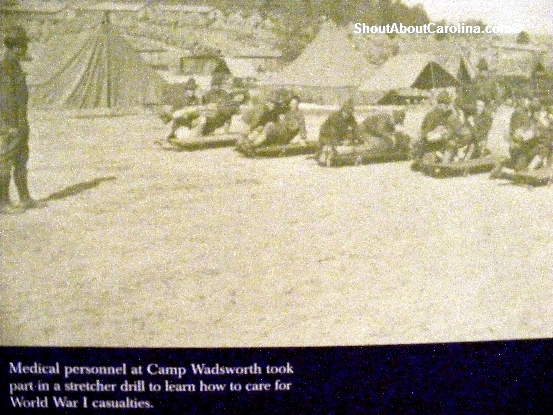 Camp Wadsworth sent out a call for dried peach pits which provided the carbon for gas masks filters. 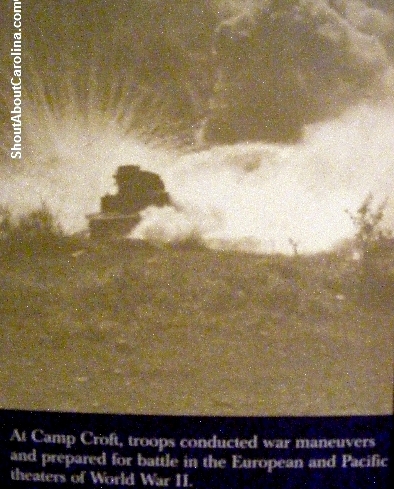 During World War II at Camp Croft, troops conducted war maneuvers and prepared for battle in the European and Pacific fronts in. Camp Croft also housed German POWs who picked peaches, fixed jeeps and cooked their own food. 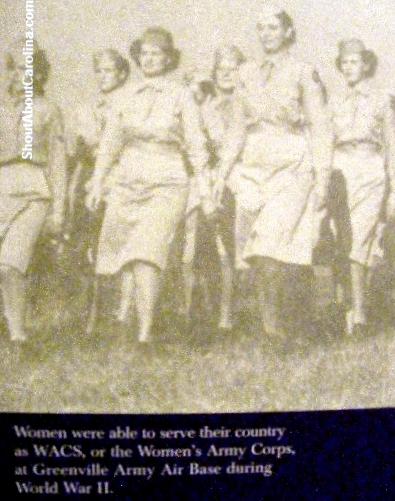 Women were able to serve their country as WACS (Women’s Army Corps), at Greenville Army Air Base during World War II. 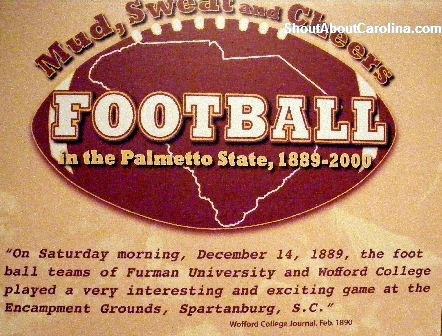 • “Mud, Sweat & Cheers Football in the Palmetto State, 1889-Present”, a fun filled exhibit dedicated to over 120 years of football in South Carolina. Check out the heated Gamecocks – Tigers rivalry, the early days rules and legends and interesting collectible items. • Be inspired by the impressive collection of paintings by Southern artists at the Museum of Art. Right now you will be delighted to see exquisite watercolor work by Mary Whyte and Andrew Wyeth. Admission is free. • Enjoy the historic 1838 Kilgore-Lewis home and garden, one of the oldest and best preserved houses in the area. Admission is free. To this day football remains one of the toughest and most unforgiving team sports games in America. And yet it is a far cry from its literally “bloody” beginnings. 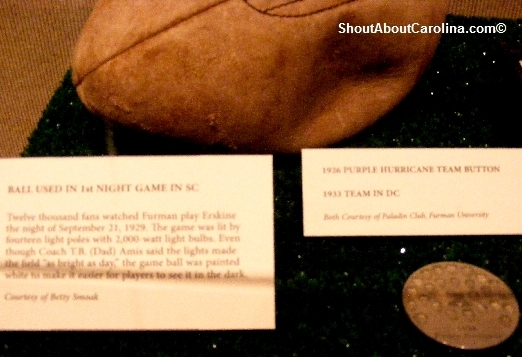 The Upcountry History Museum in downtown Greenville showcases the fascinating world of South Carolina football, from the 1880s through today. Admission is $5 adults, $4 seniors and college students, $3 children 4-18 and free those under 4. Walter Chauncey camp was born in New Haven, Connecticut. 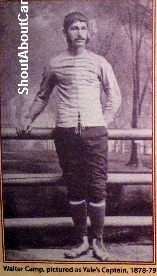 From 1876 to 1881, Camp played football for Yale (being a captain for 3 years). From 1882 to 1910 he served as an advisor to the Yale and Stanford football coaches. Throughout his life Camp played a major role in the establishment of American football. He led the American Football Rules Committee and helped establish the NCAA. He invented the quarterback position, the scrimmage, and the forward pass. He reduced the number of players on the field from 15 to 11. He was responsible for the selection of the first All-American team. Originally Camp aspired to become a doctor. However he left the Yale Medical School after two years and instead he began his career at New Haven Clock Company as a clerk. When he died, Camp was the company’s chairman and president. A monument honors his memory in front of the Yale Bowl, the home of the Yale football team. Although football rules were codified by 1890s problems persisted with how to call off sides, what constituted a pass, what was a legal block and fair play on the field. At the line of scrimmage it was common for players to use their fists on their opponents. Compounding the problems, for a long time there was only one referee on the field. “What a grand play!…half a ton of bone and muscle coming into collision with a man weighing 160 or 170 pounds.” – New York Times, November 30, 1892 describing the first use of the flying edge at a Harvard – Yale game. The flying edge was introduced in 1892 at a Harvard – Yale game. It consisted of two wings, the biggest linemen going in motion before four lighter players. Both wings would head at an angle toward the team captain, who would hand the ball to the halfback. Once the two angles converged the ball carrier would follow the wedge down the field. Smaller defensive fronts could be overwhelmed with such a formation and often suffered severe injuries. Within two years of its introduction in 1892 the “Wedge” was declared illegal. A modified version, in which a mass of players could pull, push and even punch its way through a defense with the ball carrier remained legal. 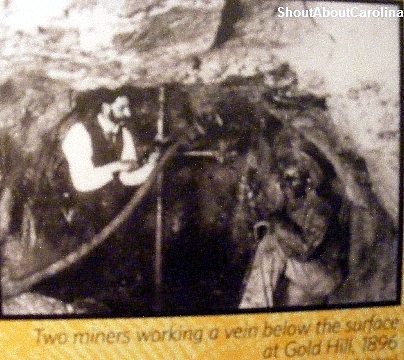 This formation continued through most of 1910s. “Until 1910 the plan was to put the man catching the forward pass out of commission before he got his hands on the ball. This football season may ‘make or break’ the forward pass” – The State Oct. 1, 1910. Until 1906 the only way to advance the ball was by a lateral, running with it or kicking it. In an effort to reduce injury the pass was introduced. There were restrictions: the receiver could be blocked before the ball ever reached him (some protection was given to the receiver in 1910), you can only throw the ball a maximum of 20 yards and you had to be at least 5 years behind the line of scrimmage. Because of penalties and the large ball size many coaches used the forward pass infrequently. In 1912 the ball size was reduced and by 1940s most pass restrictions were dropped. Football players wore very little protection in the early games. In 1894, a doctor predicted “instant insanity” to a player if he was struck on the head again. A shoemaker in Annapolis, Maryland made the first leather helmet. It was not made mandatory for college football until 1939. Leather helmets guarded against injury to some extent however they were highly unreliable. In the 1950s colored plastic helmets became popular and greatly reduced head injuries. In the 1970s improvements included inside air pockets and a four point chin strap. In 2002 Riddell Sports “Revolution” helmet became the first major innovation to protective head-gear in 25 years. With a spherical shape designed specifically to reduced concussions, head injuries were reduced by 30%. Although injuries still occur today football players are much safer than they were 100 years ago. under their sweaters, but their teammates often made fun of them. 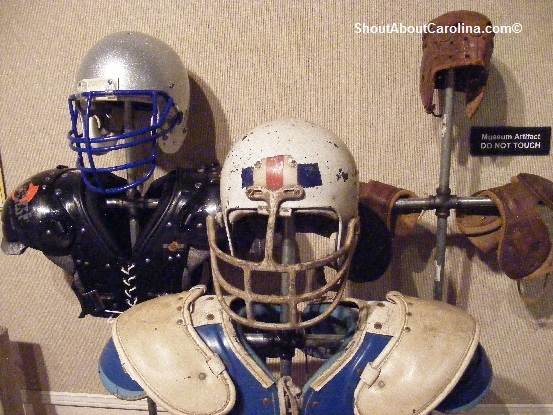 Leather shoulder and hip pads became common in the 1910s and 1920s as players and coaches became more aware of injuries. By 1950s padding became more sophisticated yet also added some risks. The plastic will get dangerously hot and players suffered a high numbers of heat related injuries and even death. 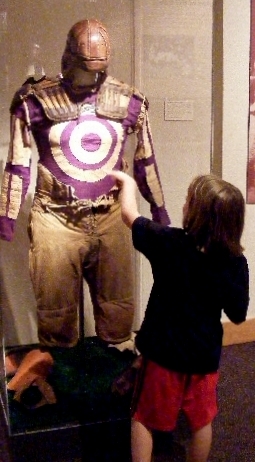 Over the years improvements were made and in the 1990s air-conditioned shoulder pads were introduced. Today pads are specialized for different positions. Quarterback pads have fewer flaps to enable more arm movement and their larger size give ribs added protection from tackles. Running backs and receiver have smaller, lighter and more flexible pads to allow freedom of body movement. “On Saturday morning, December 14, 1889, the foot ball teams of Furman University and Wofford College played a very interesting and exciting game at the Encampment Grounds, Spartanburg, S.C.” Wofford College Journal, February 1890. Although football was played back in the 1860s in the Northeast it took almost 30 years for it to arrive in South Carolina. The first documented game took place in 1889 between Furman and Wofford with little publicity. Yet by 1910 college football had become a major fall event on most South Carolina campuses. The Citadel (1905) and Erskine (1915) were the two of the last ones in the state to introduce varsity football. As each school tried to get better and win games, student and alumni became increasingly passionate about recruiting. During the first decades of the game the player captain ran the team with a faculty member as an advisor. The full-time football coach was many years away. 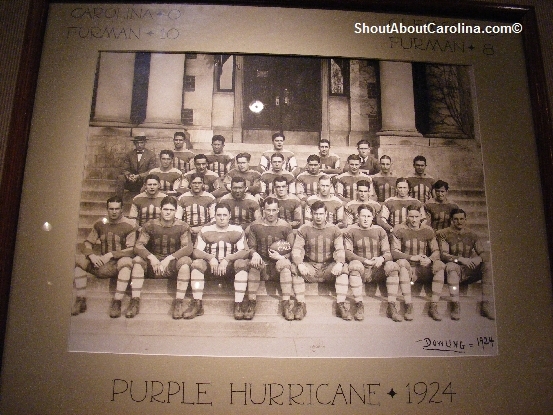 After playing in the state’s first ever football game, Furman struggled to maintain a winning season. The program was actually suspended from 1903 through 1912, when strong appeals from students brought re-instated it. The “Purple Hurricane” came back roaring! In the 1920s Furman dominated the state competitions, winning the South Carolina Championship Cup, seven times through 1932. In 1926, one of the biggest victories of the era came over heavily favored Georgia. Winning 14-6, Furman made a Georgia journalist to make good on his promise if his favorites lost. He walked 101 miles from Athens to Greenville where Furman students and town’s people greeted him as a “great sport”. A year later, Furman had one of its best seasons ever, defeating Clemson, South Carolina, North Carolina and Duke. The team received an invitation to play at Coral gables in Florida in what will later became the “Orange Bowl”. Furman beat Miami 38-7. Bill Laval, became the only coach in the state history to lead three different colleges Furman, South Carolina and Newberry. For most South Carolinians football revolves around its biggest and most accomplished schools South Carolina and Clemson. 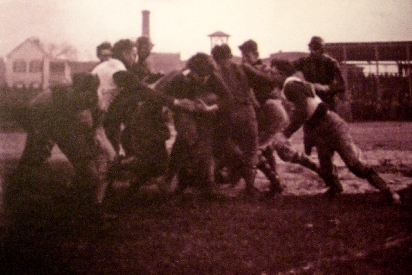 Read about the 100 plus years history of the state’s most heated football rivalry. 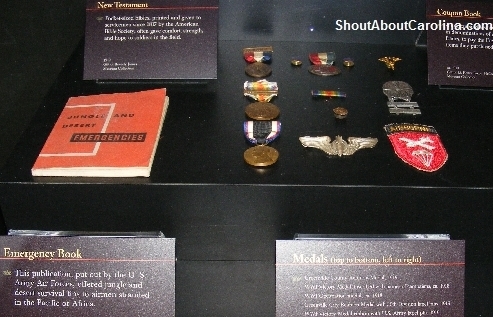 Note: Historic data, pictures and quotes used in this post are from the “Mud, Sweat & Cheers” exhibit. The Greenville Museum of Art indulges visitors with hundreds of paintings by American and Southern artists from the 18th century to present. 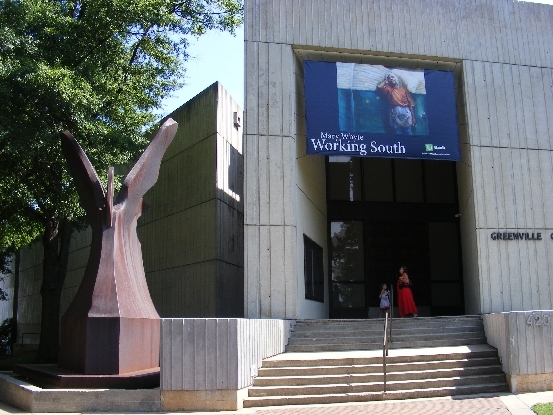 The current attractions are two superb water color collections by Andrew Wyeth (through October 16) and Mary Whyte: Working South (through September 18). Admission is free. The art museum is open Tuesday to Saturday 11AM – 5PM and Sunday 1-5PM. •	September 4 – Music in the Galleries – Enjoy the gentle sounds of guitar music. My daughter really enjoyed the Art Detective challenge, where she had to identify 6 paintings inside Mary Whyte’s Working South exhibit. Can you doff it? It’s not as easy as it looks. How about doing it over, and over, and over? In late 19th century and early 20th century children worked, sometimes up to 14 hours a day, in hot, lint-filled, and extremely loud textile mills for a meager pay. If that wasn’t enough, in the 1920s, mill owners started deploying “the stretch-out” – machinery was sped up to increase workers production (and the owners profits) during an already grueling work week. Finally, in 1933, The Cotton Textile Code of the National Recovery Act, set a 40-hour work week, a $12 minimum weekly wage, and put an end to child labor. Learn all about “The Textile Capital of the World” at the Upcountry History Museum in downtown Greenville. Admission is $5 adults, $4 seniors, $3 children 4-18 and free for those 3 and under.